Assigning Peter’s speech to our Easter Sunday readings requires a lot of “fast forward” (cf. our first reading). There is no way Peter could have spoken like that on Easter Sunday. Like the others apostles, Peter was both scared and discouraged after the Good Friday experience and it took not only repeated manifestations of the risen Lord, but most especially the Pentecost experience, for Peter to have the courage to speak like that. It is quite remarkable that Peter’s catechetical summary almost belabors one point: we are witnesses that he is risen. This is in fact the core of the early apostolic preaching, before distortions necessitated pastoral and theological clarifications. Their witnessing needed to be enabled by a twofold support: love and faith. Their love was there, which is why they were grieving, but their faith had been shaken by the Good Friday events. They hid in the upper room and some started to walk away, as the two Emmaus disciples did. The same is also clear in today’s gospel reading. Love is alive enough for both disciples to run to the tomb, but their faith had been crushed and finding that the tomb was indeed empty meant nothing to Peter. The beloved disciple’s faith had also been shaken, but his love led him to ponder and remember the words of Jesus. It was this love that awaken his faith. We need both love and faith. We know that faith is gift, but loving God and loving others can awaken in us the gift of faith. The Lord will later tell Thomas: blessed are those, who believe without seeing. Believing without seeing is challenging enough, but more challenging is believing against what we do see. We see around us an effective denial of the Lord’s values not just in society at large, but even in our own Church shaken by the appalling scandal of clergy misconduct. Believing against what we do see is a more refined way to be blessed. FOCUS: The risen Christ seeks to transform and redeem our lives. The resurrection of the Lord is the highest of all feasts – the day in which we celebrate the truth that Jesus conquers and redeems every darkness of life, even death itself. Truly this is a day of rejoicing! 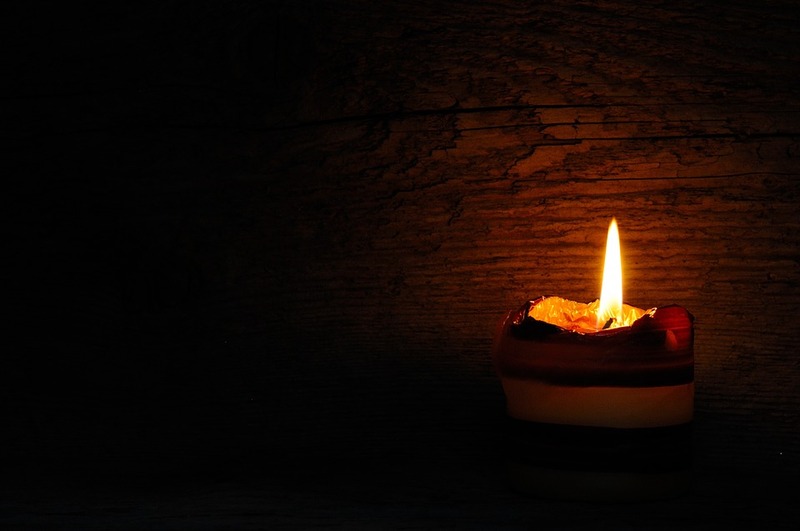 For even when events are unclear to us – when we do not understand what we see before us, like those who saw the empty tomb – we can be confident in the words and promises of God. April 18 at 7 pm. April 19 at 3 pm. Sunday April 21 at 10 am. resume Tuesday April 24th at 9 am. EXPERIENCE HOPE, a modern Christian Contemporary concert which will appeal to all ages, will take place on Friday June 7, 2019 at 7:30 p.m. in our church. Songs from artists like Chris Tomlin, Lauren Daigle, Britt Nicole, Mercy Me, Casting Crowns, etc…will be featured. We need performers, singers and support staff to coordinate this exciting and innovative project. If you know anyone who may be interested in this event please feel free to extend the invitation outside of our parish. Tickets for this event will be sold and profits will benefit our parish. Tickets are 15$ for adults and 10$ for children. Refreshments will be served. Through music, we can bring our community together to share the love of Christ, live intentionally and offer hope to all who believe in his love. If you have any questions or concerns, you may contact Linda Morrone at 514-814-5554 or at lynmorrone27@gmail.com. Thank you for your consideration. LAST SESSION! Try something new: Our Meditation group meets on Wednesdays during Lent at 7:30 pm, following the 7 pm Mass. This ancient form of prayer is practiced worldwide. Why not give it a try? Sessions last 30 to 40 minutes. 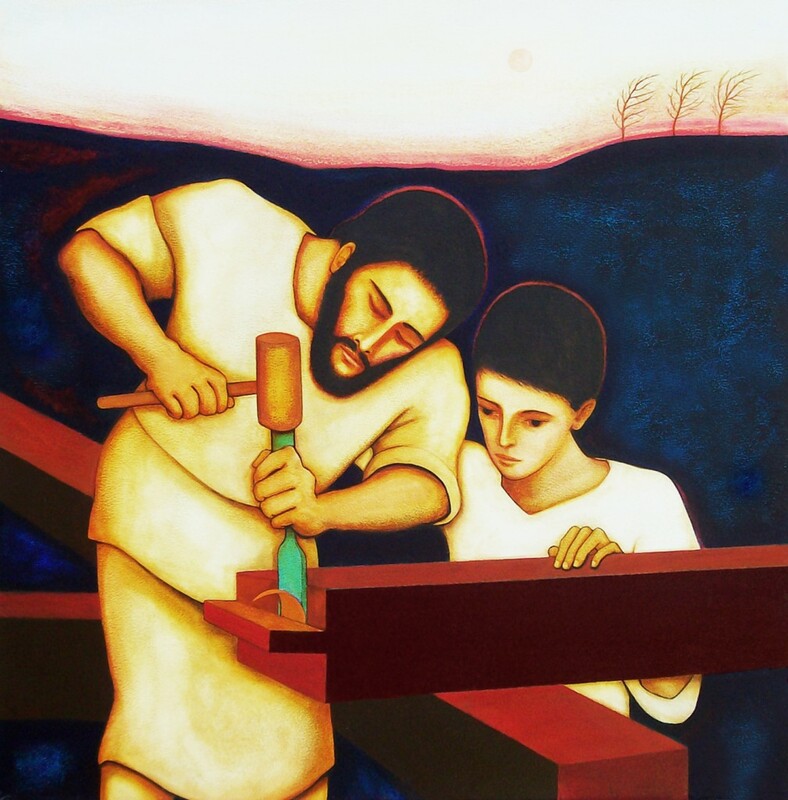 St. Joseph, a low maintenance guest: Please consider taking him home to pray with him for vocations. A sign up sheet can be found at the main entrance of the church. Would you rather NOT be called up by Father Robert after Mass? This can be arranged by contacting the parish office. BUCKET RETURN! Thank you to all who took a bucket home during Lent. About 30 buckets were distributed this year! 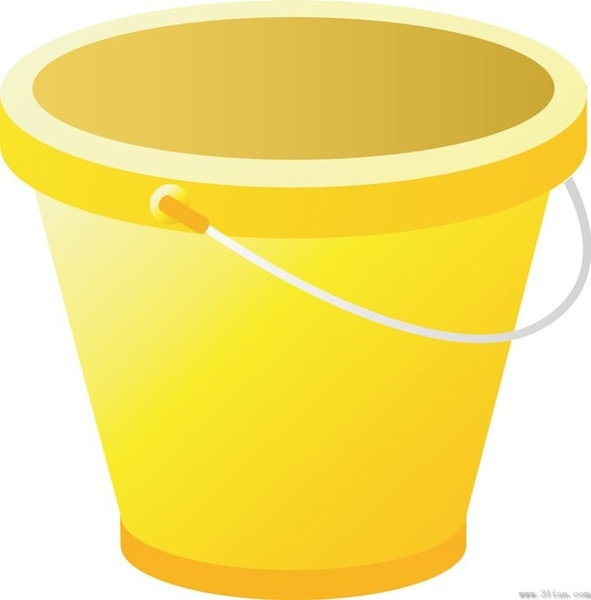 If you participated in our Parish Lenten Project, it is time to return your bucket. You can leave it with Father Robert, Emilio or Wayne. Didn’t get a bucket? You can still make a donation to the project. Adult Faith Education: Our group meets again next Thursday April 25th after Mass. 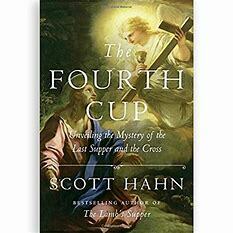 We will be looking at chapters 9 and 10 of The Fourth Cup: Unveiling the Mystery of the Last Supper and the Cross by Scott Hahn. Listeners welcome! Coffee will be served. 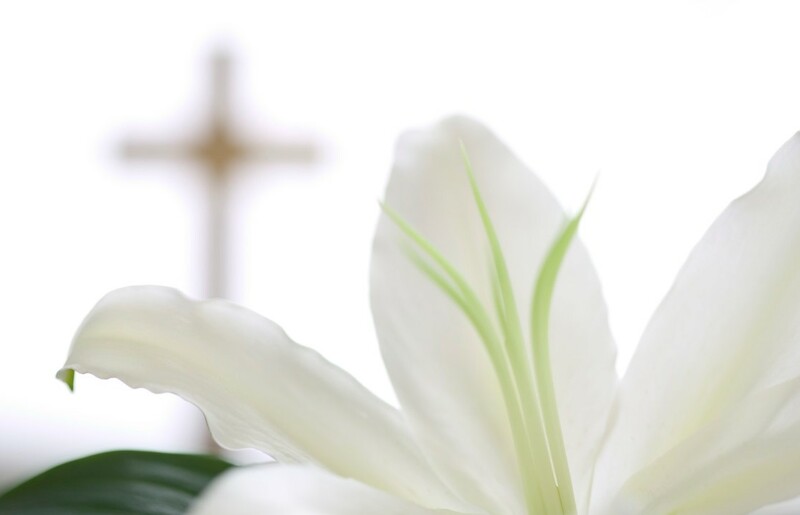 EASTER FLOWER DONATIONS: We invite you to make a donation toward our Easter Flower Fund for your personal intentions. Donations may be sent to the parish office or dropped in the collection basket. Please include on the envelope: the name of your intention or loved one (memorial) along with your name (donor). Please also include your parish envelope number if you have one. Names of loved ones and intentions will be included in upcoming bulletins. Thank you for your support! 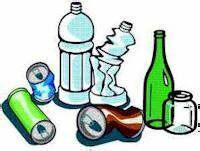 Thank you for your returnable Bottles and cans! We collected $45 last month for a total of $140 for the year already. Please leave your rinsed empties at the 71 Roosevelt entrance. CHILDREN”S CORNER: We have many little ways to keep your little ones focused during Mass: (1) John Issa offers Children’s Liturgy on Sundays. Your child can join him for Father’s blessing after the opening rites. The children return to Mass during the Liturgy of the Eucharist. Running a little late? Your child can still join in. The classroom is located up the stairs at the parking lot entrance; (2) If your child is acting up, please make use of the playroom, located to the left as you enter the main doors of the church; (3) Mass books are available on the back of the pew at the main entrance of the church for your child to follow along; (4) Pflaum sheets are available where the Mass books are kept. A few copies can also be found in the playroom; (5) Would your child like to help with collection? Please see Father Robert or Emilio. We welcome your donations through PayPal where you can safely and easily donate online.